An investigation into the finances of a South Yorkshire hospital trust which racked up a £12.6m deficit despite forecasting a profit has been launched. Monitor is to probe Doncaster and Bassetlaw Hospitals NHS Foundation Trust, which runs Doncaster Royal Infirmary, Bassetlaw District Hospital, Retford Hospital and Montagu Hospital in Mexborough, Barnsley. It said there had been a ‘significant deterioration in its finances’ according to financial data, which could force the organisation to apply for extra funding support to keep going in the future. The deficit emerged last month, and the trust’s director of finance, Matthew Lowry tendered his resignation afterwards. The provider had predicted a £2.2m surplus for 2015-16 but then reported the deficit. At the time the trust said patients ‘should not be concerned’ about its finances and that patient care will continue as normal. Paul Chandler, Monitor’s regional director, said: “People are relying on Doncaster and Bassetlaw to provide them with high quality healthcare now and in the future. Therefore, we need to make sure the trust can do this in a sustainable way and within its budget. The investigation. which will look for solutions to the deficit as well as how the financial situation changed so quickly, is likely to take months. 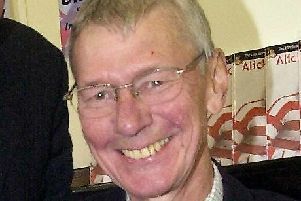 The trust’s chief executive, Mike Pinkerton, said the trust would co-operate fully with Monitor during its investigation.